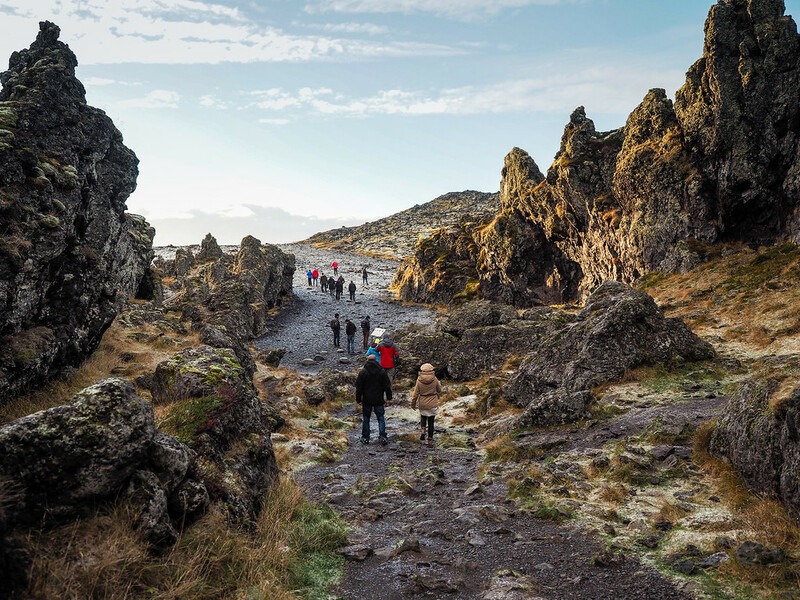 When it comes to “hot” and “trending” destinations, in recent years Iceland has been right up there near the top of all the lists. What used to be one of the most expensive countries to visit in Europe suddenly became much more affordable after a financial collapse in 2008. And, while financial crisis is never something to be joyful about, tourists have certainly benefitted from the affects of Iceland's struggles. While the country still isn't “cheap” by any standards, it's now much more affordable for the average person to visit. I planned my first visit to Iceland in early 2012, when Iceland was slowly getting back on its feet but before it became an “it” destination. I remember people asking me why the hell I wanted to go to Iceland (and in winter, no less). But as soon as I came home and showed them photos, they got it. 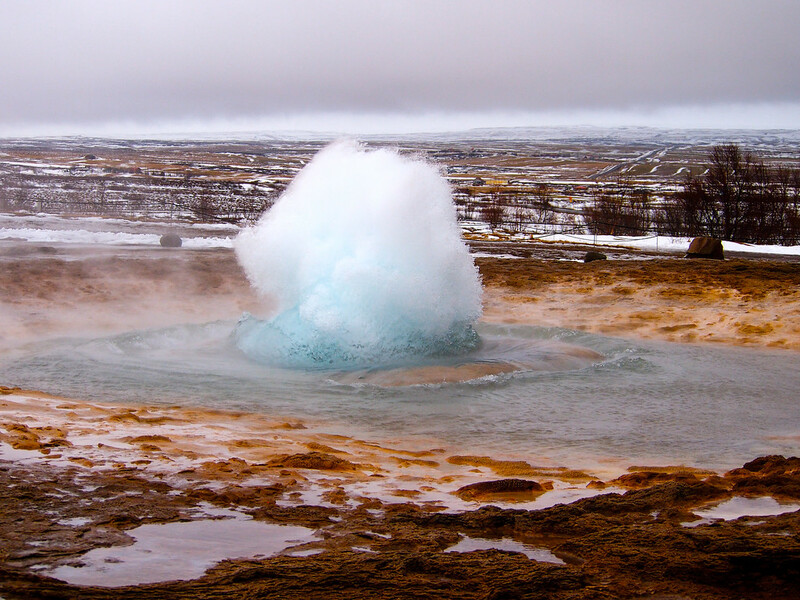 Iceland is wild and raw; it truly is the Land of Fire and Ice, where Mother Nature reigns supreme. And it's also one of the most magical places on earth. 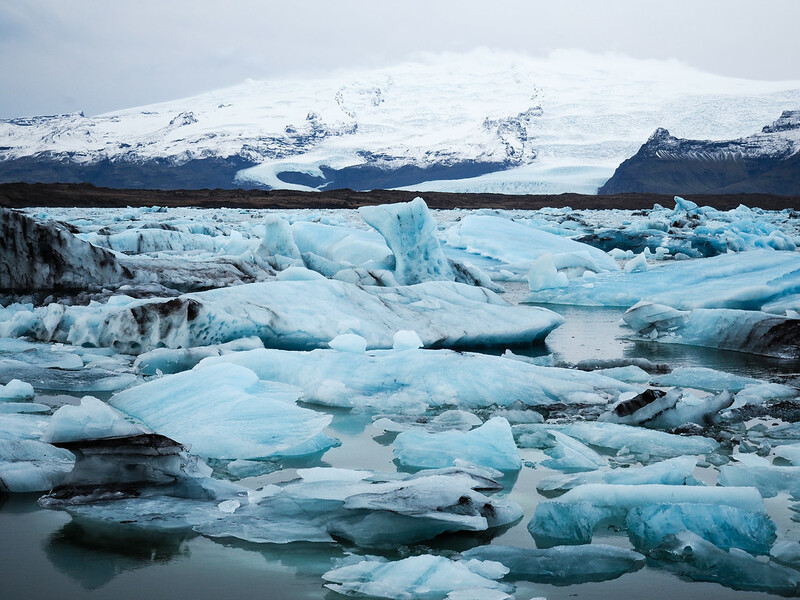 Jokulsarlon, the glacier lagoon where huge chunks of blue ice calve off Vatnajokull (Iceland's largest glacier) and eventually float out to sea. Sometimes, it just looks like the moon. In the winter months, sunsets can last for an hour, painting everything the light touches orange and pink. 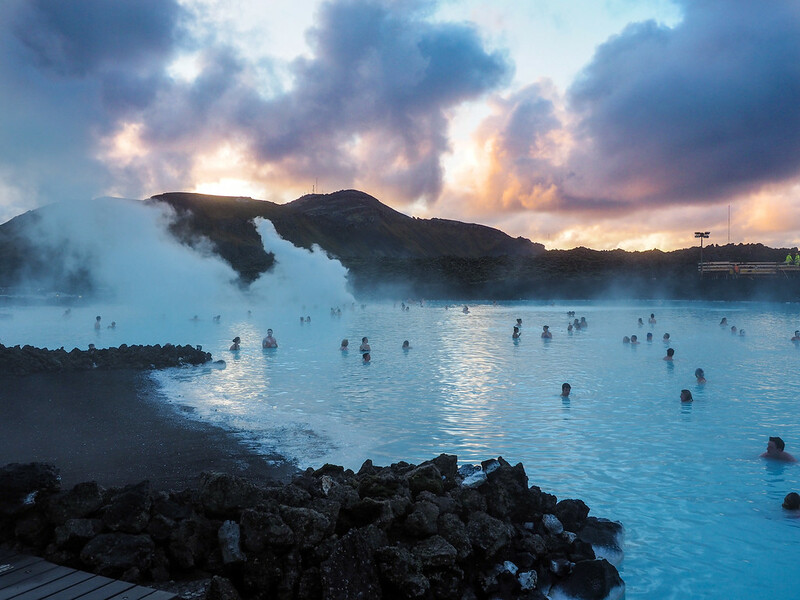 Sunrises can be equally as colorful, like this one at the famous Blue Lagoon. There are tiny fishing villages that look like something directly off a postcard. 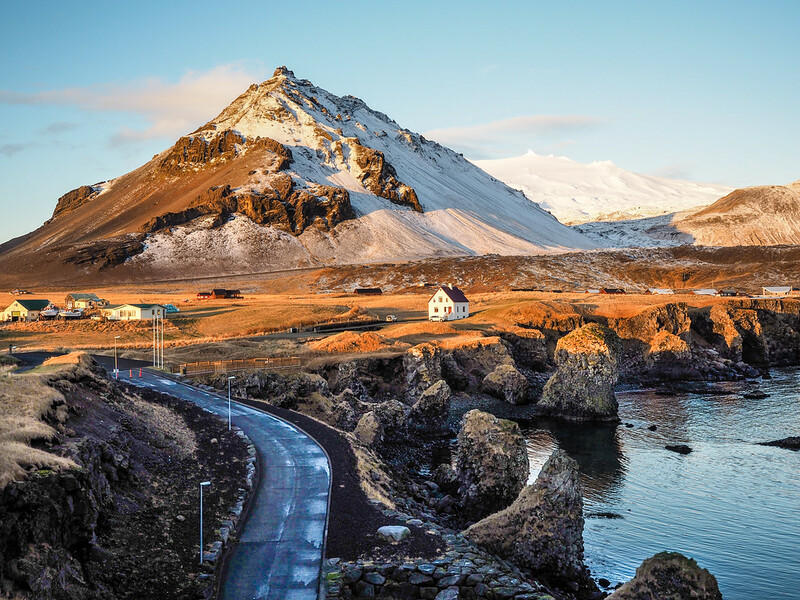 This is Arnarstapi on the Snaefellsnes Peninsula. And waterfalls that flow out through the porous rock of lava fields. And other waterfalls that you can walk behind, like Seljalandsfoss. 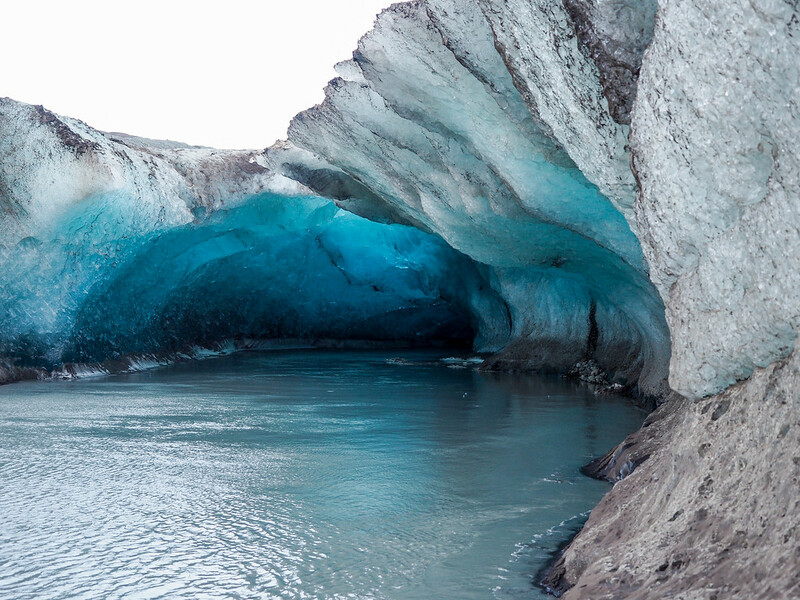 There are also ice caves in the glaciers, like this big blue beauty beneath Vatnajokull. 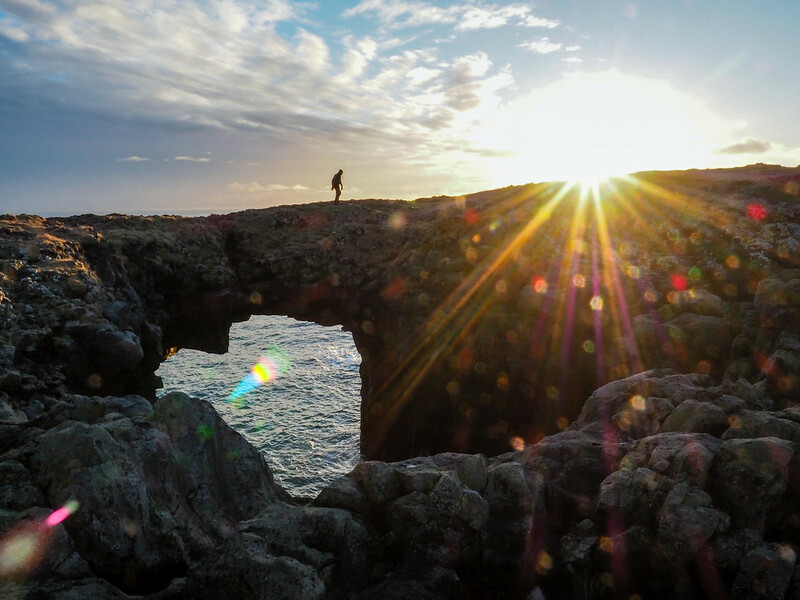 Are you convinced that Iceland is magical yet? 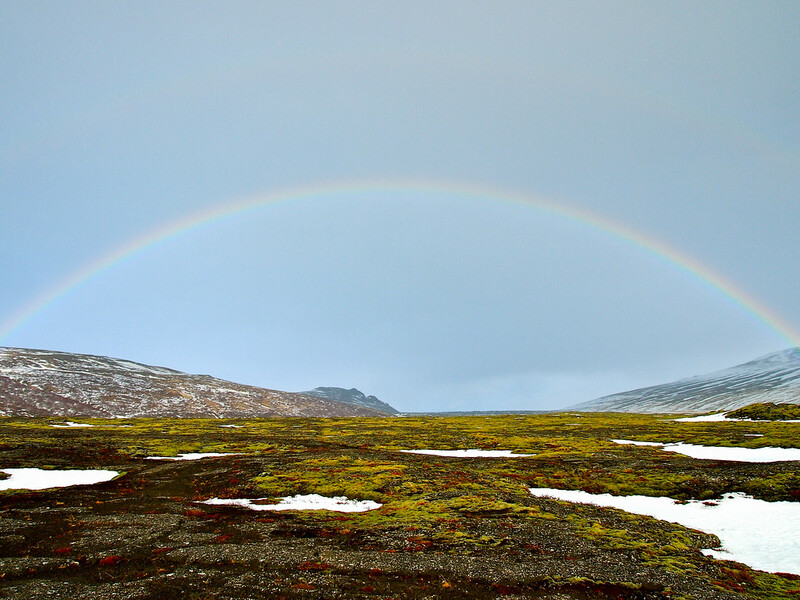 A rainbow stretching over the thick green moss that covers a lava field. 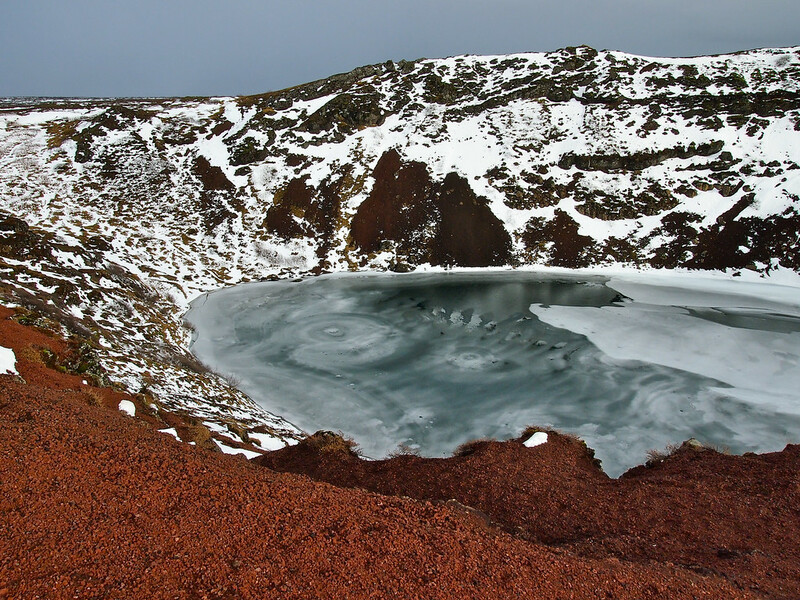 You'll find signs of volcanoes everywhere, like this colorful crater. The colors are all at once muted and neon. 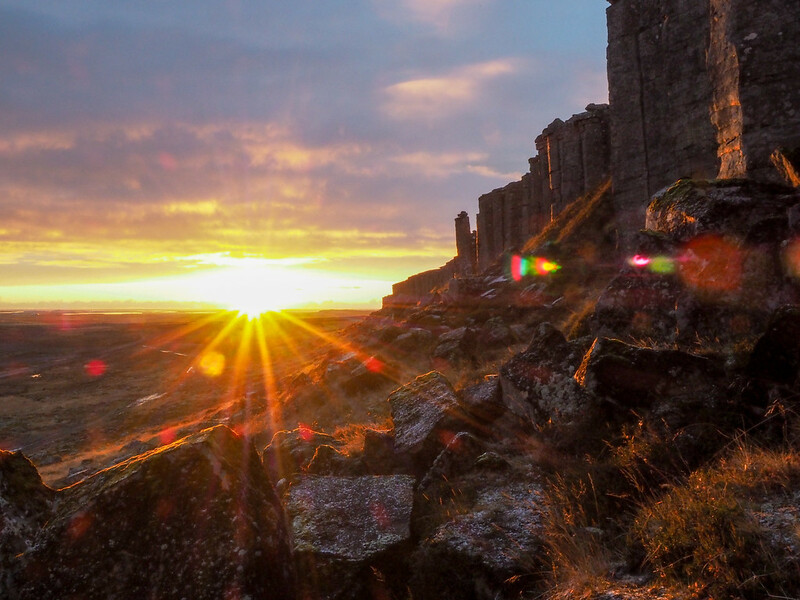 Could you ask for a better sunset than the sun slowly dipping behind the Gerðuberg basalt columns? 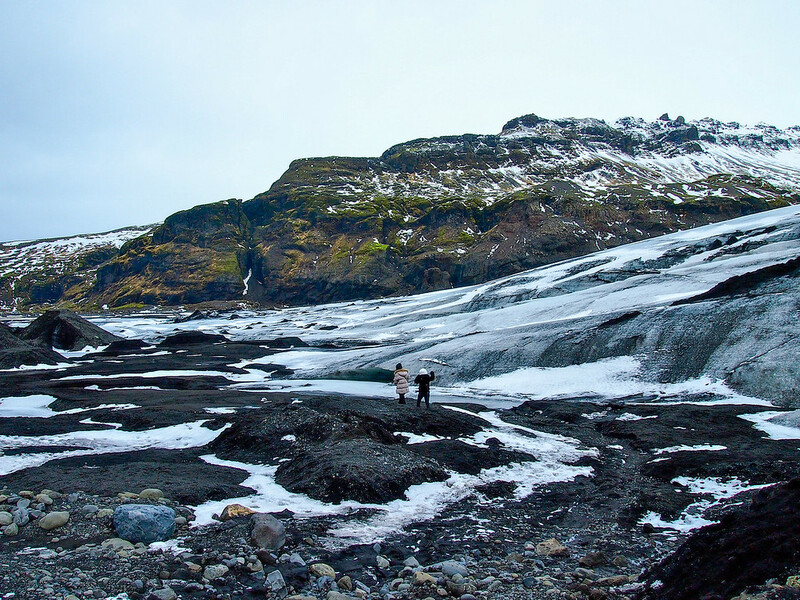 In Iceland, you find glaciers on top of active volcanoes, covered in a thin layer of black ash. You'll also find geysers! Strokkur, pictured here, erupts every 6-7 minutes, 24 hours per day, 365 days per year. 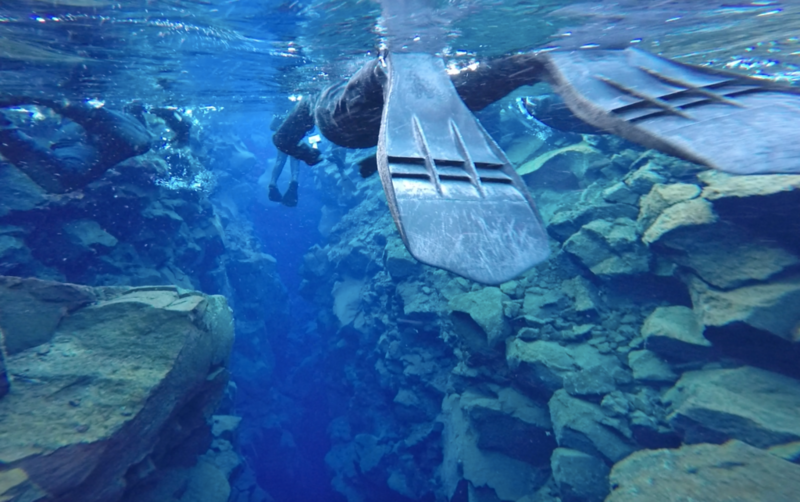 You can also snorkel the clear blue water of Silfra, the rift caused by the separation of two of earth's tectonic plates. EPIC. The beaches here aren't for sunbathing. They're where Mother Nature shows her true power. 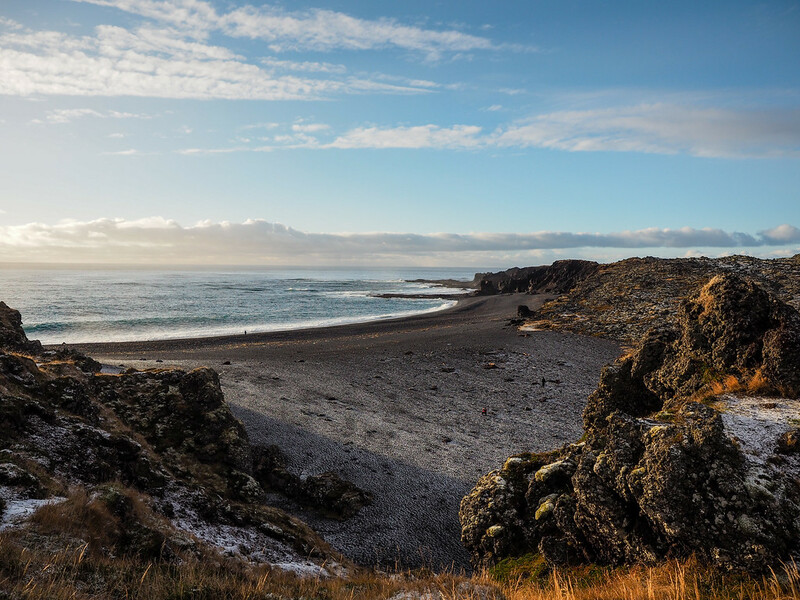 On Djúpalónssandur Beach, you'll find the remains of more than one shipwreck. 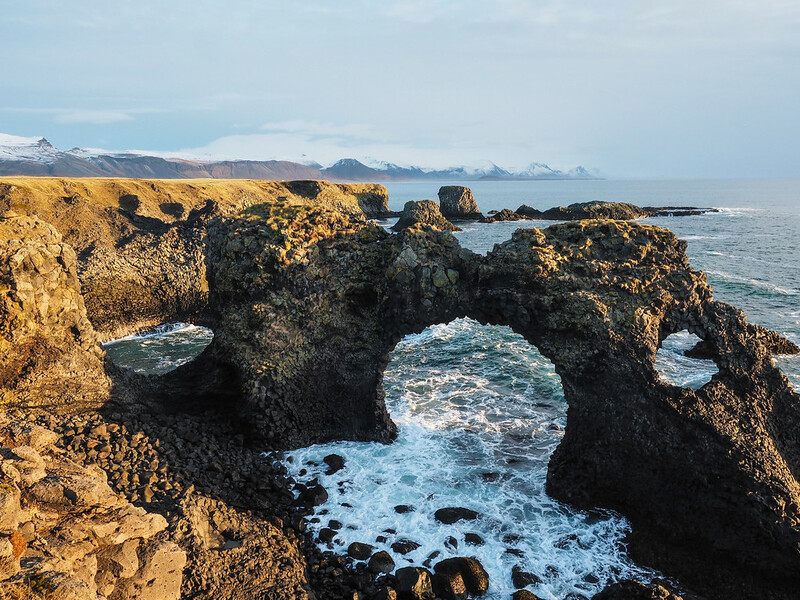 Along the coast, you can find beautiful sea arches like Gatklettur. 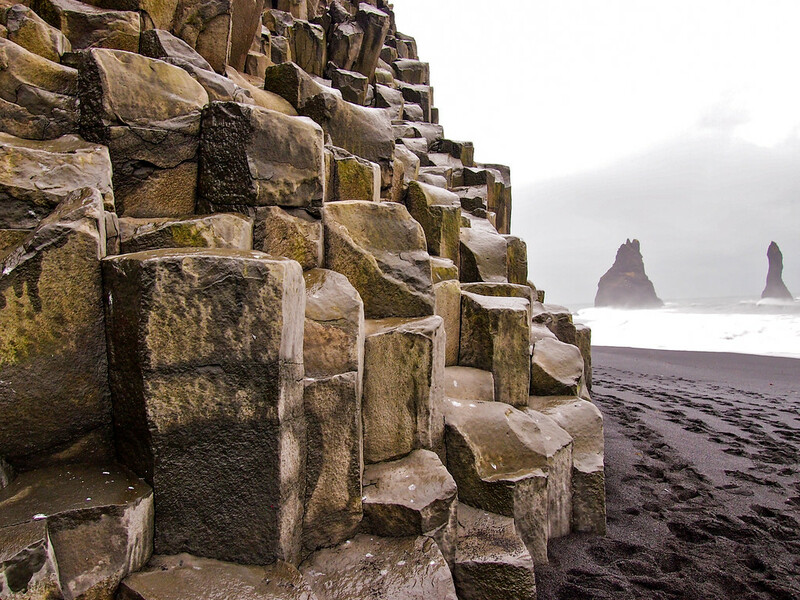 You'll also find these basalt columns everywhere – they're formed when hot lava meets the sea and cools. No matter where you are, you can count on rounding a corner and coming face to face with a view like this. 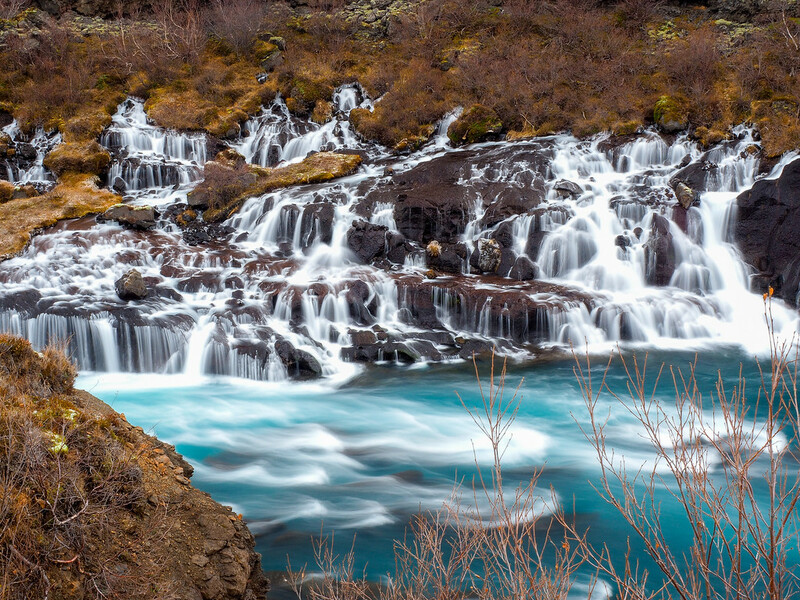 Another of Iceland's famous waterfalls. This is Gullfoss, part of the famous Golden Circle. 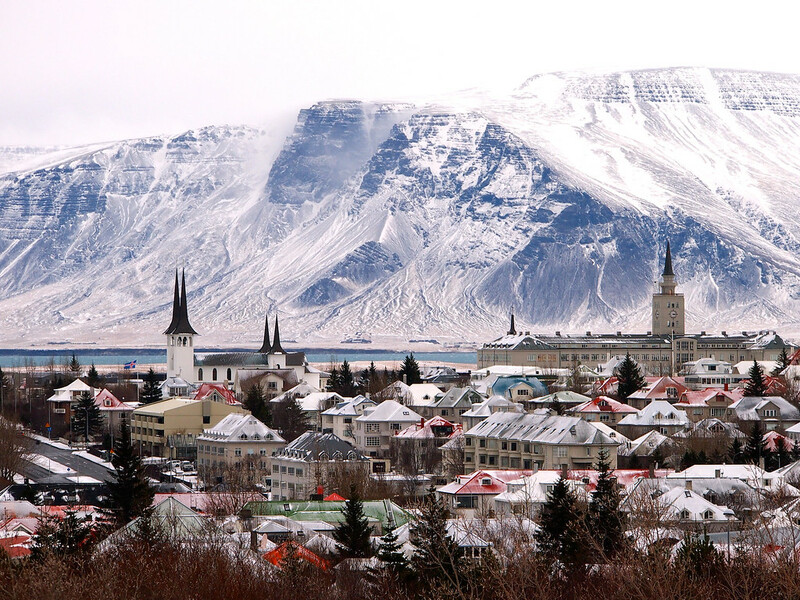 Even the capital city of Reykjavik looks magical, especially under a dusting of fresh snow. So, are you convinced? Do you understand why everyone who's visited Iceland has gone so crazy over it? Iceland is definitely magical, and it has certainly cast its spell on me. Even after two trips there, I know I'm not done. 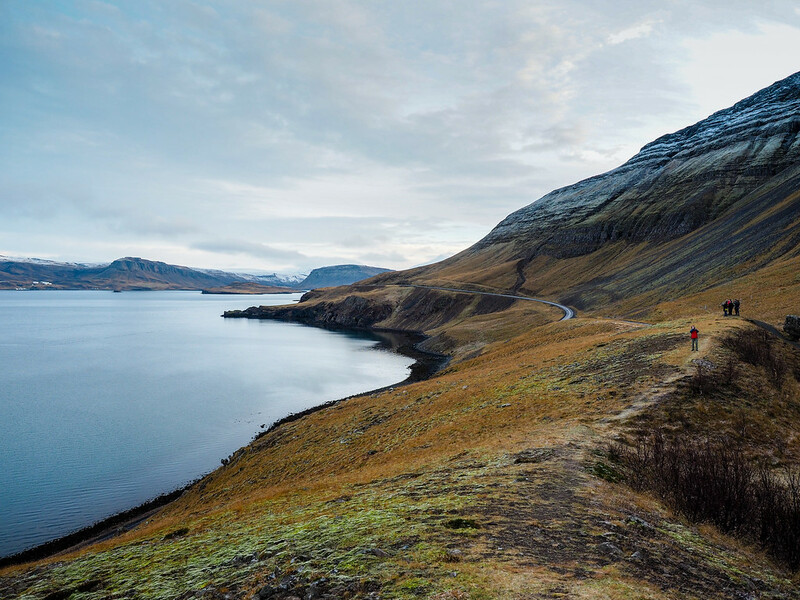 And if you're planning an adventurous trip around Iceland, be sure to invest in a good travel insurance policy! That way everything from lost luggage to a bad accident is covered – because you just never know! I recommend World Nomads for basic (and really affordable) travel insurance. Who's ready to book a trip to Iceland? Beautiful pictures Amanda! 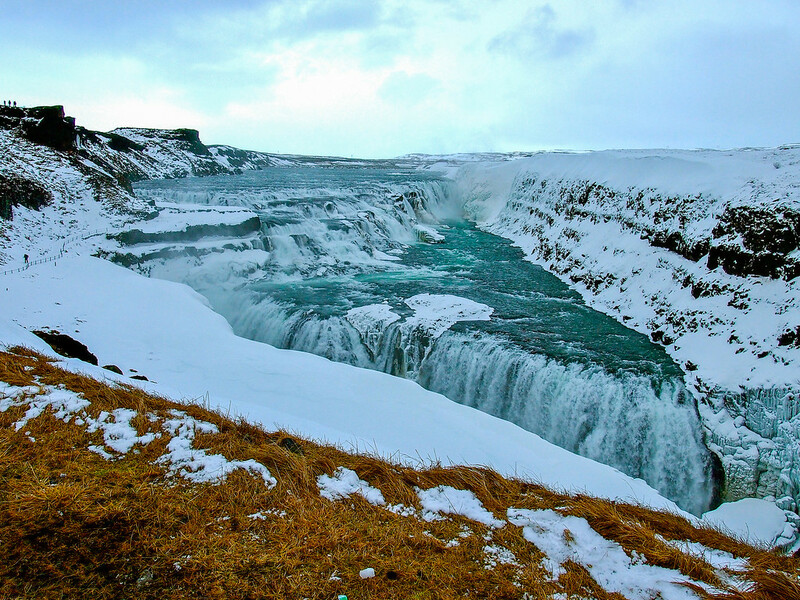 Loved seeing a wintry shot of Gullfoss! Thanks so much! 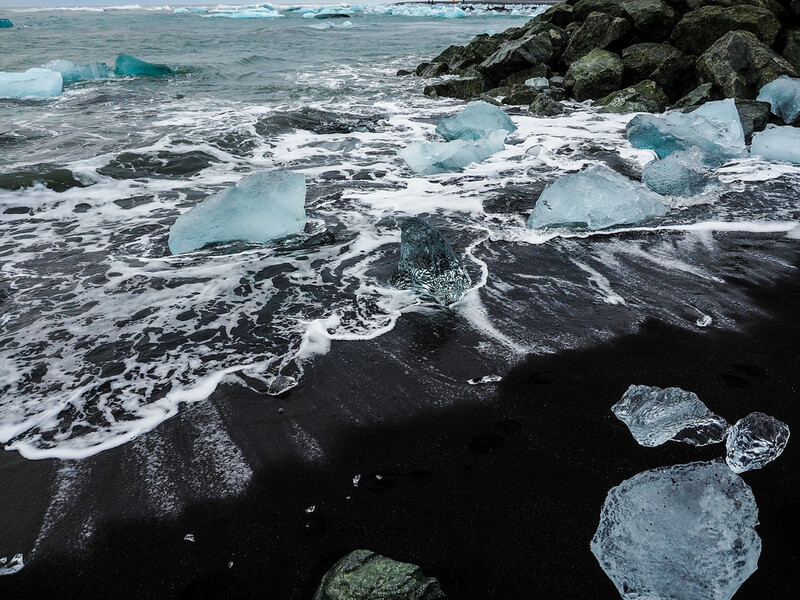 This is definitely one of my favorite photo essays, I think – Iceland is amazing! Been to Iceland. In my opinion it is not ‘magical’ in any sense of the word. When you publish pictures that have been heavily edited using HDR even Mumbai or Cairo would look ‘magical’. Your photos make a dull volcanic island look colorful. It is not a colorful place. I didn’t find the people there all that welcoming or interesting either. Ummm… none of these photos have been edited using HDR; in fact, most of them haven’t been heavily edited at all! I’m sorry you didn’t find Iceland interesting, but I think you’re in the minority on that one! These photos are INCREDIBLE. I love your shot of Silfra. Snorkeling was such an amazing experience, but I was half-frozen by the end. 🙂 I miss Iceland so much. Thanks so much, Rachel! 🙂 And yeah, Silfra was very, very cold – but SO COOL that I didn’t really mind too much! Wow! These photos truly are magical. I love the scale and the sense of infinite space they convey. As an aside, I also like that you’ve displayed them in large size on your website. What did you use to take your underwater photos? My GoPro! Though, the photo in this post is actually just a screenshot from my GoPro video – sometimes I find that works best, because it’s hard to keep the little camera still enough to get great stills underwater. Beautiful photos! Iceland has been at the top of my bucket list for a few years now. Unfortunately due to timing, cost, and several other reasons that now seem ridiculous, I haven’t been able to make it. Hopefully this is my year! I certainly hope this is your year, Kate! Iceland is so amazing. 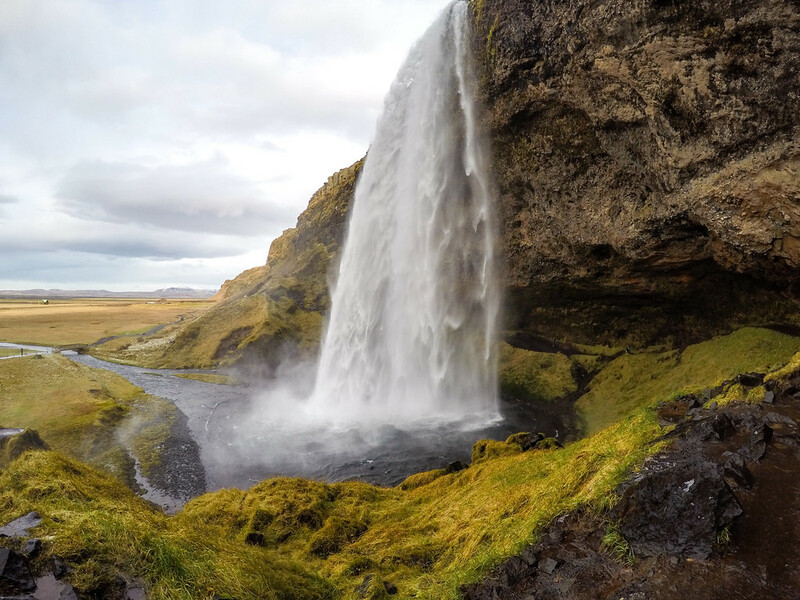 Love this posts – and all your posts about Iceland can’t wait to get there this year myself. I hope you love it, Paula! I’ve been to Iceland twice, and yet am already dreaming of my next trip! It’s just one of those places that I think will always keep calling me back! Yes you’ve proved it! Iceland is definitely magical – especially since I can’t get enough of looking at photos! I’m sure that after seeing hundreds of pics, seeing it for myself at the end of this year will be like seeing it for the first time! Oh it will be. I mean, yes, photos are great to look at – but it’s so much better in real life! Your photography is honestly stunning! 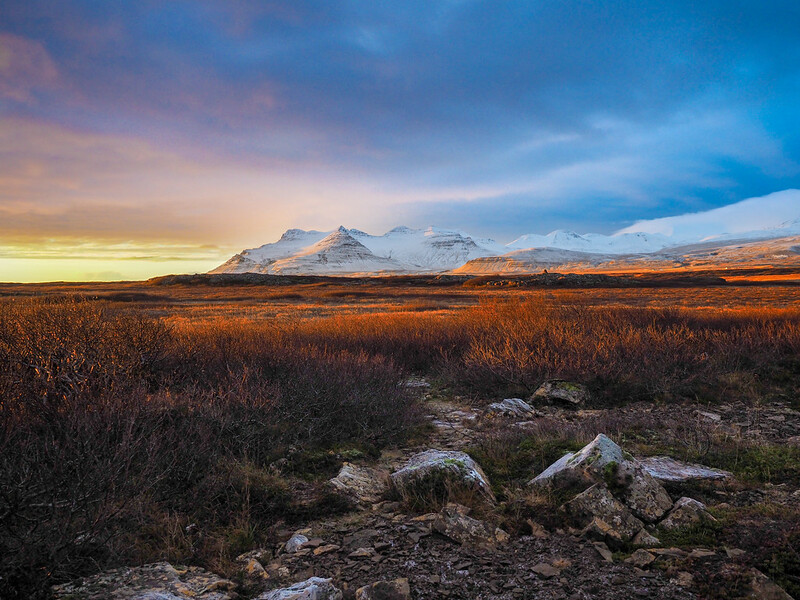 Iceland certainly looks like a magical place – the snow-capped mountains look so lovely! Definitely one of the more magical places I’ve been! Impressive AND it is accessible. Icelandair often is having flight deals and for those of you in Europe or North America, you can get their in a few hours! Yup, lots of good flight deals with both Iceland Air and WOW. And no, no food photo essays planned – I’m definitely not a foodie (and I would never go anywhere near that fermented shark – yuck!). Amanda, I am absolutely swooning over these photos! Just gorgeous! Get me to Iceland!!! Thanks so much! I definitely had fun putting this one together! Wow, Iceland is so magical. It has been on my to-do list for a while.. Hopefully sometime soon 🙂 Thanks for sharing these lovely pictures. I hope you make it there soon, Anu! I have to agree with you – Iceland is such a magical place! I have never been to a place where the landscape is quite so surreal – there were times when I wasn’t sure whether I was on Earth anymore when I visited! 🙂 These pictures are so stunning! I know! Sometimes it absolutely looks like another planet! Such a cool place to explore. Gorgeous photos! My husband and I were in Iceland for 6 weeks during the summer of 2012 and are dying to go back again both in the winter and the summer. Nature photography is my true passion, but I really love your photo of Reykjavik in the snow. From where did you take it? That Reykjavik photo is one of my favorites from Iceland! I took it from The Pearl – the observation deck/restaurant that’s on top of the water towers a little bit outside of the city. Such beautiful pictures and simply want to pack and go. thanks Amanda. Iceland is beautiful. Yes it sure is! Glad you liked the photo essay, Marc! Iceland really does seem like a magical place! I actually feel that way about a lot of cold places, like Norway and Sweden too. I think it’s something about all of the natural beauty, like the waterfalls and mountains and snow. And of course the fairytale-esque houses! All the natural beauty definitely contributes! Norway and New Zealand both also sit on my “magical” list. Such beautiful photos. I love the waterfall one and the geyser one. They are amazing. Makes me want to go. Thanks, Heather! 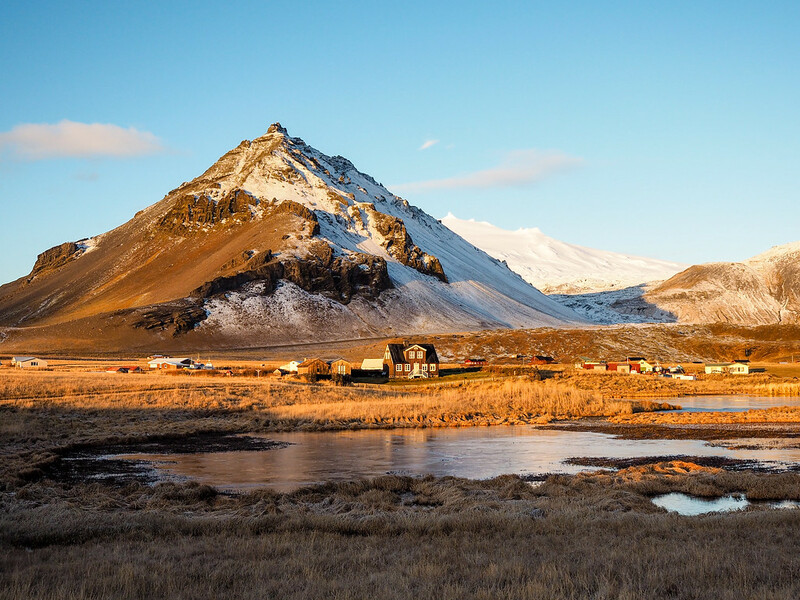 You’ll definitely have to put Iceland on your list! Yep I’m convinced! Iceland is one of my top 5 ultimate destinations to visit someday. No photo I have ever seen has disappointed me, the place is just so darn photogenic. It really is! Even when the weather isn’t great, it’s still just so incredibly dramatic. Iceland is one of the most beautiful places I have visited – I still have framed pics on my walls from my trip, nearly eight years ago! Amanda, I’ve been an admirer of your blog for a few years now, and based on your love of epic natural scenery I’m going to suggest a destination for your bucket list. Torngat Mountains National Park in Labrador, Canada. Even though I live in Labrador I have not been myself (yet – bucket list! ), it is not cheap and the travel window is narrow, but I know people who have made the trip and vow it is worth every penny. Thanks for that suggestion, Stef! That park does indeed look incredible – I definitely need to explore more of that part of Canada someday! The photographs are gorgeous. Where’s the next plane to Iceland?!! I’m ready to go back already! Are you freaking kidding me with these photos?? Incredible. Great job, girl! And you took these with the mouthful Olympus OM-D E-M5 Mark II? I mean, WOW. Haha thanks! And yup, my trusty Olympus took these! I’m convinced! Iceland is definitely at the top of my bucket list! Awesome! 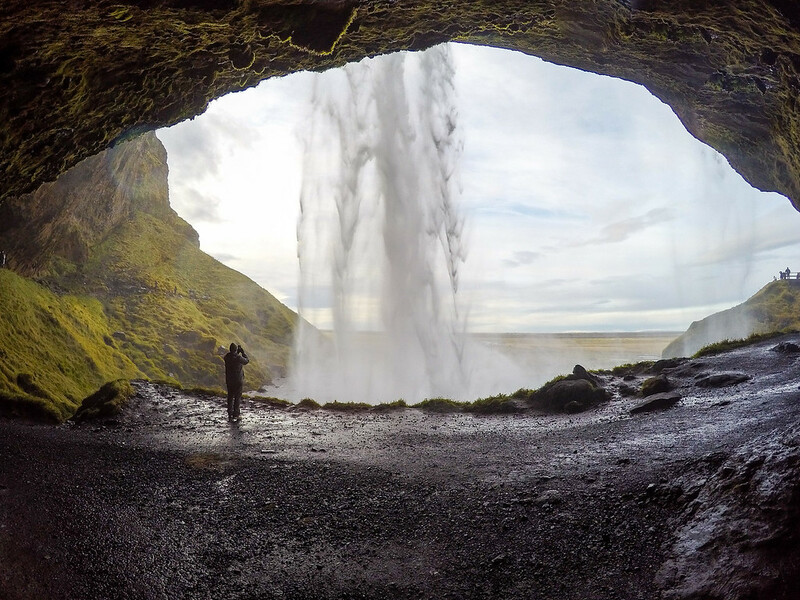 Even though I’ve been there twice, Iceland always lives at the top of my bucket list, too. Amazing pictures!!! You just reminded me how stunning Iceland is and I want to go back really badly!!! I love every single view in here! Thanks, Kami! Scrolling through these pics makes ME want to go back ASAP! Wow, these photos are amazing! Love them so much. Really makes me want to book a plane ticket. These pictures are incredibly amazing! Can you tell me which kind of camera and lense you use and do you have any tips for taking photos in Iceland? Thank you, Aubrie! I currently use an Olympus OM-D EM-5 Mark II (http://amzn.to/24uE5SN) with a 12-40mm Pro lens (http://amzn.to/1TelCGF). Most of the photos in this post were taken with that camera and lens! Iceland seems to be the “in place to travel” at the moment. I can see why from your photos. Absolutely beautiful. Hi there! Any tips of going to Iceland in January? I want to go to Iceland for my honeymoon then! Your picture are so beautiful… I really hope to be able to get back there and do the same ! You would think it would be tough to get good photos of Iceland when the weather (especially in the winter) is often quite moody. 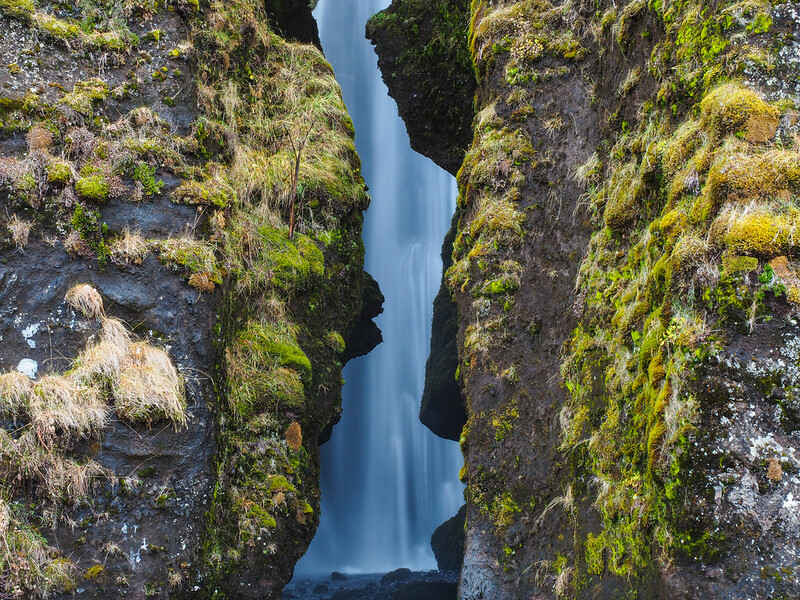 But Iceland is really just amazing – it’s easy to take great photos there! Iceland must have like a million or more waterfalls, it’s insane. So much mountain runoff and you can drink it. Unreal country. “Unreal” is the perfect word for it. It’s one of those places that I don’t think I could ever get tired of visiting! Oh wow I got chills! These pictures are amazing, I’d love to visit Iceland! Thanks, Tanya! It’s a pretty magical place! Wow, how many wonderful pictures. My dream is to know this beautiful place. Aww thanks! Some of the shots (especially of the waterfalls) were indeed taken on a tripod using a slightly longer shutter speed. But most were just taken with the camera in my hand! Iceland is definitely one of the most magical countries on the planet! The northern lights is one of the highlights for me there, absolutely stunning view and a must experience for every adventure seeker. Amazing how you turned great images into a story Amanda. The last image especially…with the town in the foreground and snow capped mountain in the back…makes you miss places you’ve never been to. Thanks so much! It’s so easy to fall in love with Iceland. Wow! They seem as though they could be paintings. The Blue Lagoon is my favorite. The Blue Lagoon certain is surreal to see! Hi Amanda! My name is Micah Travis and I was needing pictures of Iceland for a calender I am creating, would you give me permission to use said photos? I can put your name in the Bibliography and front of the calender to credit your amazing work! Hi Micah. Feel free to send me an email to discuss photo usage (my email is adangerousbusiness[at]gmail[dot]com. If you’re going to be selling said calendar for profit, I can send you my rates for photo licensing.